Do YOU truly believe that what you've got can change their situation? Do you truly believe that what you've got can change YOUR situation? I have just recently experienced a major change in ME. I have carried this fear around of calling people, of talking to people about my business. But now, that fear is gone. What happened? I found something that is working for me! I always believed in the company, the product and the comp plan, but maybe didn't believe that it would all work for me. You just need to find the right system for YOU and you will find that it will start working! And it helps your faith tremendously. This is why it is SO IMPORTANT that you don't give up. You've got to take time to find what works for YOU! And the only way you'll find it is by trying different things. I am always reminding my team that if you begin THANKING GOD for something each day BEFORE it even is manifested in your life, it opens you up to revelations and faith and victory. Your understanding is no longer darkened as before. People are sent to you, resources are sent to you, ideas come, and plans are revealed. FAITH is such a magical thing. I have heard it many times that if you begin to sell yourself, that instead of always having to call people, that soon you will have people calling YOU. You've just got to find the system that best works for you and what best fits YOUR personality, your desire. Truly believing in something, makes it easy! If you TRULY believe in something, you are going to talk about it. If you TRULY believe in something, people are gonna see it. If you TRULY believe in something, it changes you! So, I ask you again....Do you TRULY believe that what you have is the answer for YOU and for all those other people out there wanting the same things you want? If you DO, then there should be no fear. It should be easy for you to share, no matter who they are. If the fear is there because of unbelief, remember that in Mark 9:23 Jesus says, "If you can believe, all things are possible to him who believes." If you have problems believing, do as the father did in this passage in Mark...he asked the Lord to help his unbelief. " Lord, help my unbelief!" and HE WILL. Phillippians 4:9 Paul says, "Those things which you have both learned and received and heard and seen in me, do; and the God of peace shall be with you". I like that. :) Now isn't THAT a great scripture for Duplication?? Get with your upline....take the time to LEARN and RECEIVE and HEAR and SEE what they do....and just DO IT! And believe me when I tell you, you will start to TRULY BELIEVE...and it will CHANGE YOU. Do you ever wonder why things have to be so hard, even when there are others who do their best to make it easy for us? Whether it be in business, health or just life, we all want to be successful. Do you know how success can be made easy? Do you want to know the Path To Success? 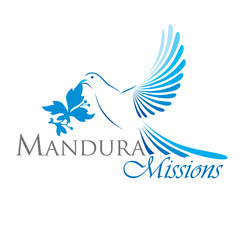 I've tried a few network marketing businesses before I was introduced to Mandura, but I didn't get really serious about it until Mandura because it was a business where everyone helped. I've only been in network marketing for a couple years and I began looking back on some simple principles that I have learned that I know can help a person be successful in building their business. I came up with an article of these few simple principles by just using the word SUCCESS. SUPPORT – No matter what you set out to do, whether it be to build a business, lose weight, etc., it always seems so much easier when you have the support, the help from someone else. It’s so hard being alone with no one to help and it makes it so much easier to just quit. What we set out to do can be accomplished easier and a lot quicker if we have the help. TEAMWORK is the number one key to success, because when we work as a TEAM… Together Everyone Achieves More! UNLEASH STRONGHOLDS – Many times we find that after starting a new adventure, a new journey, a new business, we tend to allow our past failures to follow us. I think the biggest stronghold we find in many people’s lives is FEAR. Some fear rejection, failure and even success. Face those fears right away and deal with them. Confront them to conquer them. We can’t allow the negative voices of the past to begin affecting us. SO…from the very beginning, we need to take charge right off, the strongholds in our life that keep us from becoming successful. The battle begins in the mind…with the negative thoughts that tend to try and creep in. Make a point to take captive any bad thoughts that begin, and cast them out by making it a daily practice of speaking good powerful uplifting words of Faith about you and your situation. Do not allow the “stinkin’ thinkin’ to start seeping in! COMMIT FULLY – You must make a decision right off to be fully committed to the cause. Know the WHY of what you’re trying to accomplish. Keep that Vision of Hope alive. The vision must be strong and the hope alive. It must become a canvas painted on your heart. A hope more real than the natural circumstances. Remember..if the vision dies….the business dies. Because…if hope cannot see, faith cannot bring. CHANGE – You are going to have to realize that from the very beginning, you have to make the decision that you are going to have to not only expect change but also welcome it. You may have to do some things that you’ve never done before. Maybe some things that you never tried because of fear and you basically have no idea how you would be with it…successful or a failure. You need to take risks, take steps, give it a try and not allow yourself to be defeated in the very beginning with your preconceived ideas without even trying. Keep in mind that if you continue to do what you’ve always done, and never try to change, then nothing will ever be better because you already know that what you’ve been doing has not been working for you. You will still continue in the same rut you are in. ESTABLISH FOUNDATION – Just like when building anything, you need a plan. When losing weight, you need a plan. When building a business, you need a plan to follow. And the plan must first be started with a firm foundation, something that you know will work, otherwise, it will just crumble down right underneath you. As the saying goes…If you fail to plan, then you plan to fail. SIMPLICITY – Keep the plan as simple as possible. We all know by our own experiences in the past, that we hate anything complicated because it just exhausts us and is then easy to give up on. So, keep it simple. Keeping it simple not only helps you but it will also be easy for someone else to follow you who has the same need and makes the decision as you have, to do something about it. SET GOALS and STAY FOCUSED – It is very important to set some goals. If we have absolutely no idea where we are headed then we tend to lose focus easily, thus allowing distractions to blur our vision and then we lose sight of what we really wanted in the beginning. I think that setting goals is very important because when we have those goals set before us, it tends to keep us motivated and determined. Set realistic goals yet a bit out of reach so that when you reach it, you will know that you worked extremely hard to do so, and you will benefit tremendously from the outcome. Keep continually analyzing, re-analyzing and resetting your goals, hopefully higher than they were the last time you set them, and reached them. I Do Not Need Another Opportunity! I get calls daily from all over the world inviting me to another opportunity. I understand this is just a simple invitation to ask me to listen to their sales pitch. I typically will listen with patience and an open mind. However, when they are finished explaining that this is an opportunity that won’t last long and something I should seriously consider I let them know politely. I am given every opportunity in the world each morning that I wake up, with the God given breath when I pick myself out of bed. I do not need someone to present me with another one. Let me offer this instead. When looking for your next prospect simply remind yourself that many individuals are like me. They do not need any more opportunities as well. After much thought I stumbled onto a simple idea. I am not much on quoting scripture shamefully, my memory is not that good, although I do read the bible often enough to know this. There is not a single place in the bible that says anything about opportunity. Jesus never once said “I have an opportunity for you”. What he did offer to every single one of us was “HELP Through Sacrifice” and He often spoke about helping others. Through helping others and sharing your knowledge of good, you then may be rewarded as well. What we are al in need of is help. It could be help making a car or house payment. You may know someone that needs help paying a grocery bill or just a meal. We all have wants and needs. I often need help. I even raise my children in hopes that they grow to be caring, polite, respectful and above all, helpful individuals. I want them to understand how truly blessed they are. They should look for those in need and offer help. Not an opportunity. I ask you this now. When you look for the next person to get involved with your business are you ready and willing to help them and sacrifice your time and effort to help them along the way. I also ask this, are you willing and ready to accept and reach out for help. There are many individuals around you right now that are willing if you just reach out and ask. Jesus started with 12 faithful followers that reached out and asked for help and He gave and sacrificed with only one stipulation. He asked those 12 men to do the same for everyone else. What Direction Are You Blowing? I have a younger sister who is an accomplished sailor on a international level. One of the things that has always intrigued me about the sport of sailing is that they all have the same boat, same sail, same mast and they all have the same wind while racing. 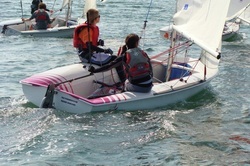 What makes her different from the novice sailor? How are winners determined when everyone has the same tools and the same obstacles? Thinking of these questions it was easy to come to a correlation between sailing and business. If you are currently with a MLM company then you understand that you have the same product as everyone else in your company. You buy it and sell it for the exact price as every other individual. What then is going to make you different? What is going to put you at the top of the company when every representative has the same opportunity? The same circumstances are relevant in your business. You have to have the usual understanding of the product and company that you represent. More importantly you have to chart your course. You have to understand the direction the industry is moving and how to get there. You have to understand that everyone has the same opportunity, but it’s how you SET THE SAIL that’s going to make the difference. Chart your course knowing there are going to obstacles but learn how to SET THE SAIL to meet every challenge. My little sister understands team work!